The phrase ‘property hotspot’ is an over-used word designed to fuel emotions and create feelings of urgency and desperation in would-be property buyers. We all love a great deal and who wouldn’t want to buy in a place that’s about to explode in value? Unfortunately, a lot of the time once a suburb or location has been publicised as a hotspot – it is far too late to find a good deal in that suburb. In fact – the term property hotspot can really trigger FOMO – or fear of missing out – in some people. I have seen FOMO create some extremely crazy buying behaviour – where people rush into a hotspot and overspend their hard-earned cash only to find they have bought a very average house, which needs a lot more work, and will cost a lot more money than they had first intended. Sadly this is what some sales agents in the industry bank on. They use the term ‘property hotspot’ to whip people into such a buying frenzy that they get carried away and spend more than they ever intended. I’ve witnessed two types of buyers that get caught in the property hotspot frenzy. Those that I have just described who get carried away and rush in where angels fear to tread, and those that get stuck. The buyers who hear “location, location, location” in the media and get so concerned about being in exactly the right location they go into analysis-paralysis. They get overwhelmed with the dilemma of knowing what is the perfect location. This dilemma can stop them making decisions, seriously delay their entry into the property market and can mean that they miss out on some very smart buying opportunities. An acquaintance of mine experienced this recently. He was looking for new business premises in a prominent Brisbane suburb where there were some very good deals to be had. He waited far too long and missed some very smart buying opportunities. This delay impacted his business as well as his underlying property portfolio. While location is important it shouldn’t take over the whole decision-making process. Holding out for the ideal location to surface can mean lost income-earning potential on a good property investment. Too much of a focus on location can also mean that other important factors like the age and condition of the house are overlooked. If these factors are not properly considered they can cost a lot of money over time! The truth is – that there are property hotspots, or what I prefer to call “smart buying opportunities” in pretty much every Brisbane suburb. In fact, there are probably some sitting under your nose in your very own suburb right now. once you have found a buy – act quickly and confidently. If you don’t have the time or the interest to do this by yourself you can engage a well-qualified, reputable buyer’s agent to do the hard work for you. At Brisbane Buyers’ Agency, we are focused on helping our clients make smart property decisions as easily as possible. Our proprietary property analytics tool, the Brisbane Buyers’ Agency Smart Buyers Index, gives our clients the inside running on the true property hotspots in Brisbane. When you work with us you will find the real property hotspots or as we like to call them ‘smart buying opportunities’ in the Brisbane market. Recently we purchased an investment property for a client for only $585,000 in one affluent inner city suburb only one km to the border of another suburb where the median house price was $800,000+. In fact, our purchase was in one of the four highest grossing suburbs in Brisbane. The house was definitely a ‘smart buying opportunity’. Our buyers were able to access all of the prestige, amenity and convenience of the ‘higher-priced’ suburb while saving themselves thousands in purchasing costs. As an investment proposition, this means more income in my clients’ pockets sooner and an enormous saving in interest costs over the longer term for them. As a registered valuer and quantity surveyor I always review the condition of the houses we research and give my clients accurate advice on ongoing maintenance and potential future costs. My client’s new investment was a three bedroom, one bathroom, one car character home with a semi-modern fit out. It had concrete stumps and relatively new electrical wiring and copper plumbing that did not need replacing. With a sound roof and painting not required for another five years, the house met my clients brief to find an excellent, long-term rental proposition in an attractive inner city location. It is now rented for $500 per week. We recently helped a client buy an extremely attractive investment property only 7kms from the city with city views on land 70% bigger than anticipated for $15,000 less than their budget. We purchased in an area that I felt offered better value for money ($550,000 median house price) than neighbouring suburbs ($600,000+ median house price) with a more attractive postcode. We paid $585,000. Another home I showed my client at the same time was advertised at $580,000 and sold for $657,000. This home also had city views but was full of asbestos and was really a knockdown and rebuild. Four months later a similar 3 bedroom and 1 bathroom home just four doors down sold for $627,000. In four months we made our client $50,000! 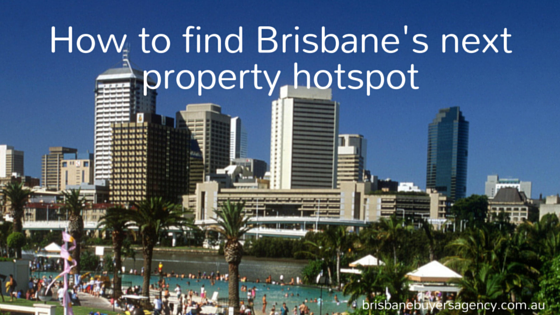 That is a smart buying decision – in a suburb not dubbed a hotspot by the media. How Did We Do This for Our Clients? Our negotiation skills made the difference. We were not the highest bidder but our conditions were considered more favourable. We also negotiated access to the home during the conveyancing period in order to market the home for rent. A good tenant was found and moved in only one day after settlement occurred. If you want to know more about how to negotiate check out our blog post where you can learn the 11 golden rules of negotiation. Our experience in valuation and quantity surveying meant we were able to give our clients an accurate sense of future maintenance costs. The home was lined predominately with plasterboard linings minimizing asbestos and the kitchen was dated but usable. The 3 bedrooms had built-in cupboards. It had a renovated bathroom and a freshly painted exterior. All supporting posts were concrete not timber, thus eliminating any chance of future re-stumping, electrical wiring was upgraded from traditional rubber cabling and plumbing was copper pipe not galvanized steel pipe which would eventually require replacement. In addition this home had a patio extension which attracted some tax depreciation benefits. We compile tax depreciation schedules in-house and include these as part of our service. If you would like to find out more about other smart buying opportunities in Brisbane please register at the form below or call me on 0409 499 034 or email me on paul@brisbanebuyersagency.com.au to arrange a free consultation for your next property investment in Brisbane. At Brisbane Buyers’, Agency we help our clients make smart property decisions as easily as possible. We are focused on the Brisbane market. We have a proven process and are highly experienced negotiators who regularly save our clients money, time and frustration using our proprietary property analytics tool, the Brisbane Buyers Agency Smart Buyers Index. We work on a flat fee arrangement, we do not work on commission, so you know exactly what your costs will be.